Jim Collins, best-selling author of Good to Great, discusses “the real key to getting the most” out of Engine of Impact. Bill Meehan and Kim Jonker describe the impetus and the inspiration behind their effort, in Engine of Impact, to forge “a common language, a new way of thinking, and a clear approach” for the social sector. 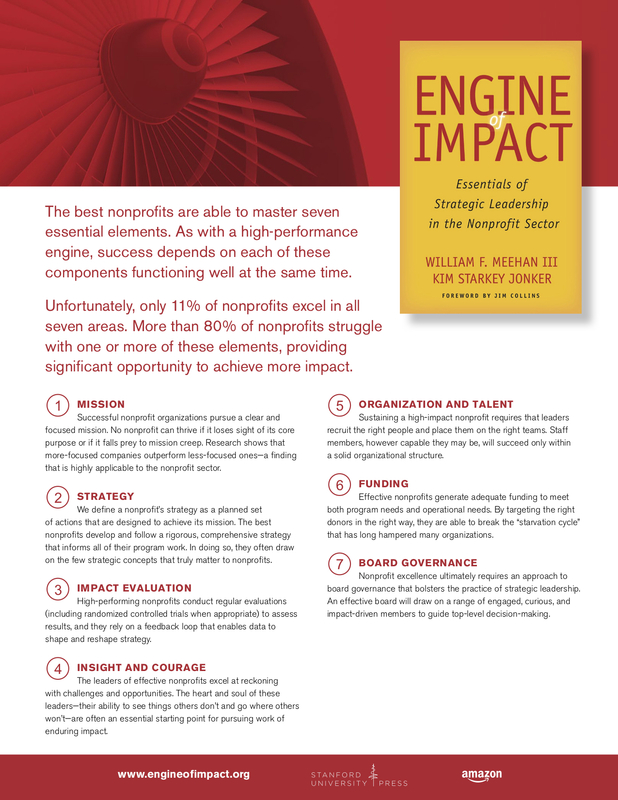 Bill Meehan and Kim Jonker lay the historical groundwork for Engine of Impact—and issue a call to action for transforming the nonprofit sector. Abstracts of the chapters that make up Engine of Impact.